The President called the meeting to order at 6:58p.m. The program was presented by Mike Shea and Terry Greer of the local Rotary Club. They informed the group of the Imagination Library program undertaken by that organization. 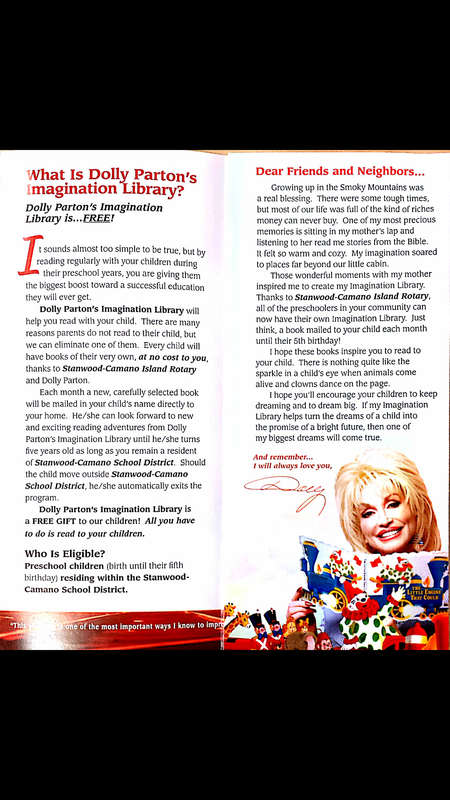 It is a literacy program begun by Dolly Parton. It provides each child with a free book every month from the time they join through age 5 years. Currently 500 local children are signed up with the program. This number is not sustainable with local participation alone. Partners are needed. Patricia Bloom moved that we make money available to partner with the program. Liz Tarbet seconded the motion. The motion was amended to include funding for the Imagination Library program in our budget once our new budget has been set. The motion passed as amended. Secretary: Gay Campbell moved to accept the minutes. Norma Mouton amended the motion to make a correction and add Karen Schmidt under the list of those present. Kaye Sodt seconded the motion as amended. The amended motion passed. Treasurer: Linda Fogg asked how we should go about getting members to renew since not enough had paid thus far. Ann Barbas suggested that we revise the wording of the email to clarify when dues need to be paid. It was mentioned that many keep getting notices even if they have already paid. Linda Fogg then presented the Treasurer’s report stating that we have a balance of $12,121.11 as of February 26, 2015. We had no expenses for the month of February and an income from membership dues and book sales totaling $618.38. VP/Membership: Oren Campbell will provide a current membership list at the next meeting. He stated that we now have at least 60 members. President: Becky Wietzke had no report. Advisory Board: There was no formal meeting this past month. Interviews were held with 6 high school students. A candidate has been recommended to the Board. 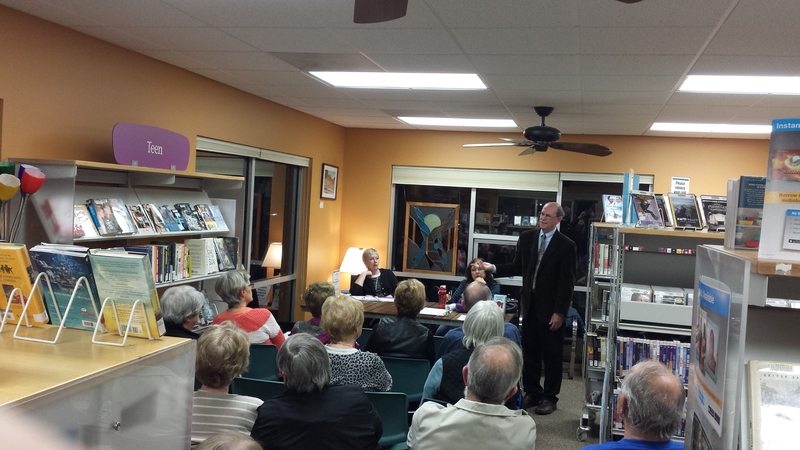 Camano Island Library: David Menard presented a suggestion by Tamara Drake. 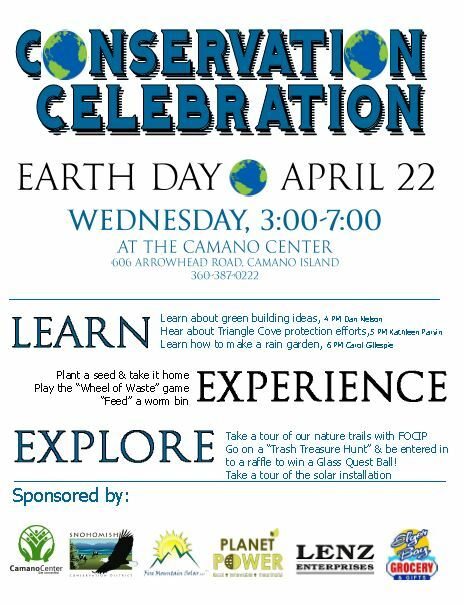 The Camano Center will be hosting an Earth Day celebration from 3-7pm on April 22. Tamara suggests that we have a library table highlighting books on the subject. Anyone interested in helping should let David know. Building Committee: Gay Campbell reported on the progress with the construction of the new building. The bond of $2.3M included the purchase of the building with renovations needed, furniture and the collection. The bids for the work closed in November and came in higher than expected. Given the unexpected cost for construction, the committee had to work hard to get the budget down to an acceptable level. The time line for completion is hoping for the end of the summer, possibly the end of August. Art Committee: Norma Mouton reported that the committee met on January 20, 2015. They reviewed five possible locations for art pieces. The first and most urgent piece would be the outside sculpture. It would be located on the north side and should be 5-6’ tall. It would be visible through the tall window in the multipurpose room. The artist selected would be responsible for installation. Conduit would be provided along with a 4×4’ concrete pad. Funding for surface mounted lighting fixtures would need to be covered by the Friends. A second piece would be a mobile in the children’s room that would need accent lights. The third piece would be in the multipurpose room light well. It could be either a mobile or a chandelier and would need to be lighted at night. Another piece will be needed for the multipurpose room near the tall window. It could be either a mobile or chandelier. The last piece needed would be either a mobile or chandelier for the reading room. Junction boxes for lighting the last two pieces will be provided as needed. The exterior signage will be standard signage provided by Sno-Isle. The committee agreed to do one project at a time starting with the outside sculpture. A call to Artists will go out with a deadline for submission to be the end of February. Tentative installation is this summer according to the building remodel schedule. The sculpture is to be in place in time for the grand opening of the library. Norma also presented a report from the Fundraising Committee since Connie Hall could not be present. The committee proposes producing a prospectus to use for raising funds for the art pieces needed. It was also suggested that we create an annual report of Friends activities where donors could be listed and acknowledged. Such a report done in color would encourage donors and serve as a reference to the work undertaken by the Friends. 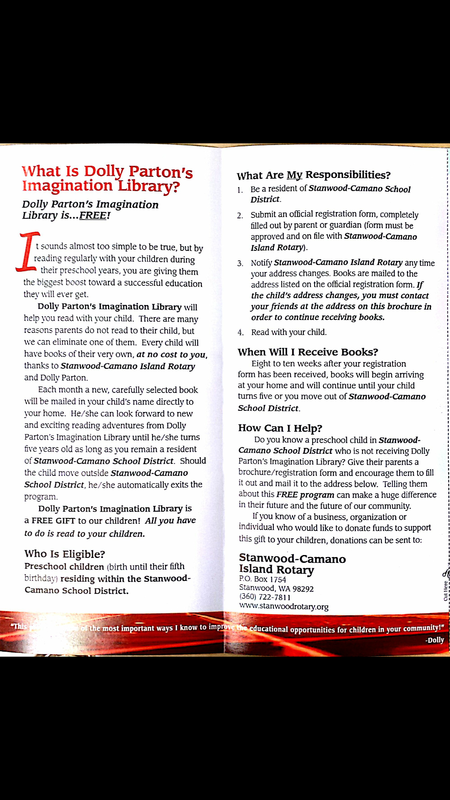 It was suggested that the committee ask the Sno-Isle Foundation to set up an Art Fund for the Camano Library. Becky suggested that we move discussion of a possible scholarship to the March meeting. 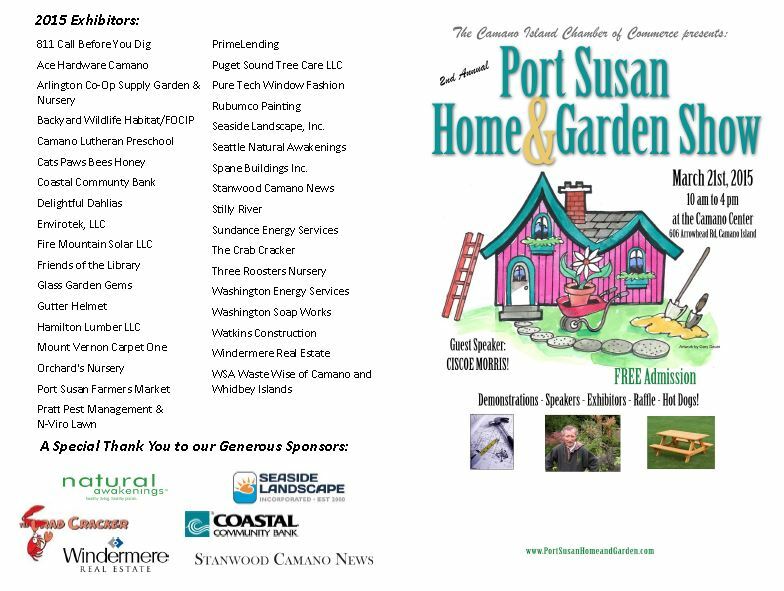 Tamara requested that we have a table at the Home and Garden Show to be held at the Community Center on March 21, 2015 from 10am-4pm. 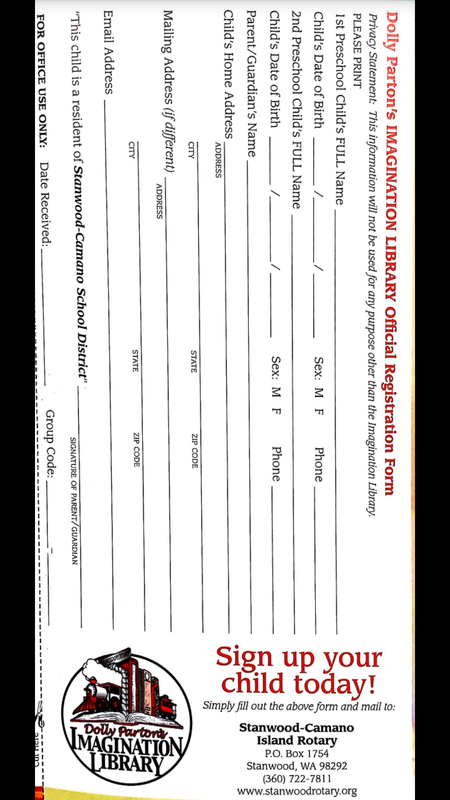 She suggested that we share a theme table with the Stanwood Library Friends. Cost for the table would be $75.00. 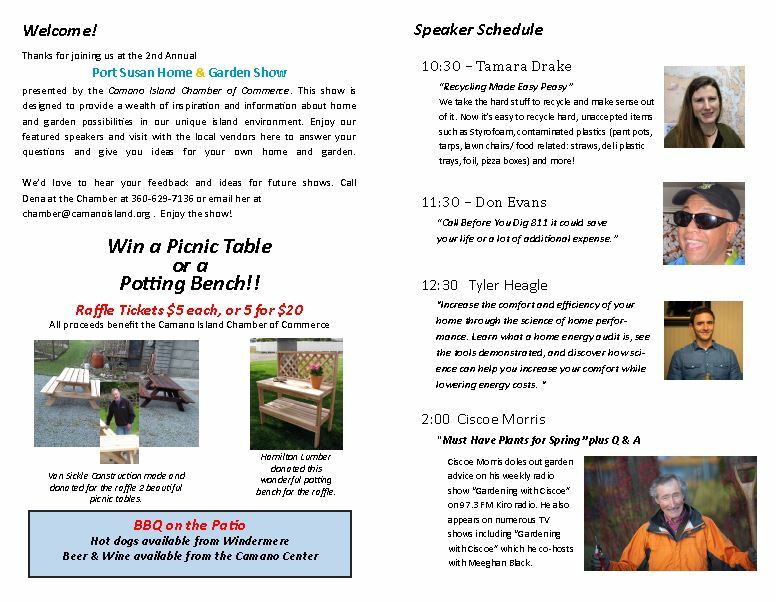 Patricia Bloom moved to spend $75.00 to participate. Ann Neupert seconded and the motion passed 11 in favor and 3 opposed. Tamara asked that you call her if you could help man the table on the day of the event. Gay Campbell commended Tamara on her work on the web page for our library. It was reported that we have 45 “likes” on Facebook.